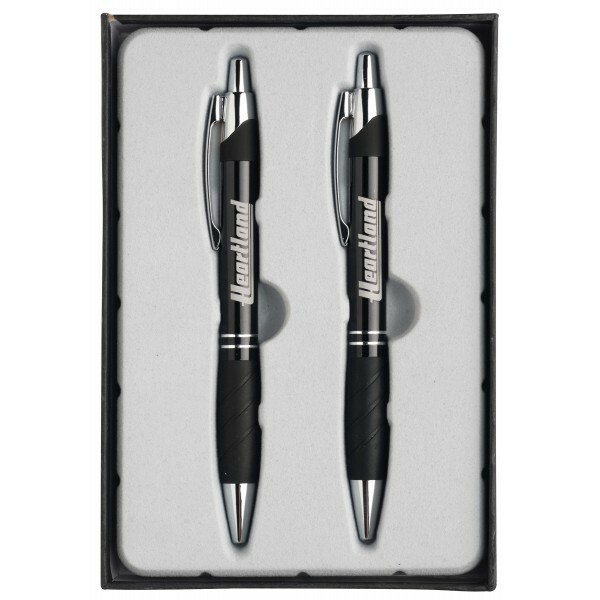 Perfect for business professionals who want to make a lasting impression. Available in three colors. 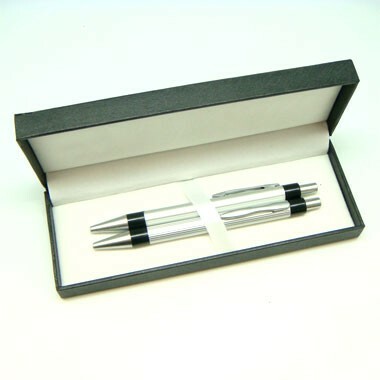 ALUMINUM CLICK BALLPOINT PEN AND PENCIL SET. 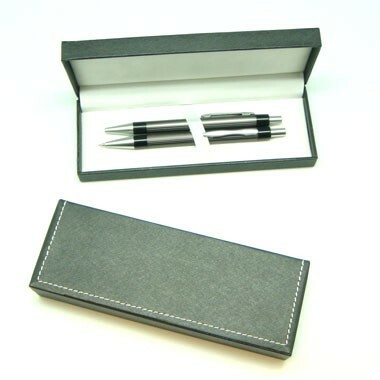 PEN AND PENCIL COLOR IS SATIN GRAY WITH BLACK/SATIN GRAY TRIM. 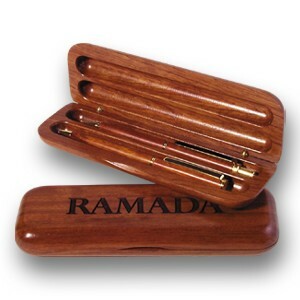 IF LASER ENGRAVE COLOR WILL SHOW MATTE SILVER AS PEN/PENCIL ARE ALUMINUM. 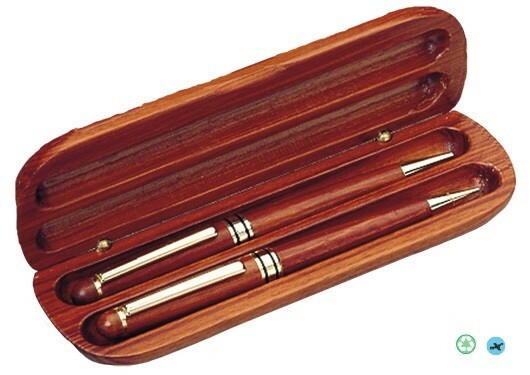 Beautifully styled with a raised rubber grip for writing ease, our Vienna writing instruments now come in 5 eye catching colors . 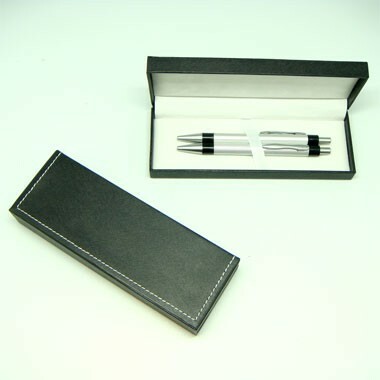 The Vienna Pen/Pencil set includes a ballpoint pen in black ink only, an 0.7mm lead mechanical pencil and comes in a deluxe 2 piece gift box. 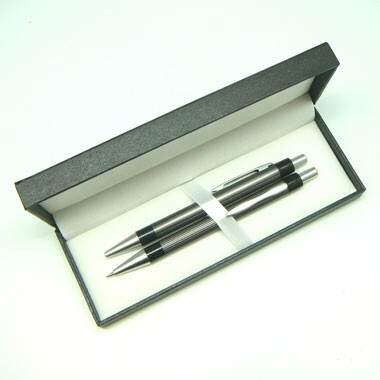 Matte black/Brass Pen and Pencil Set. 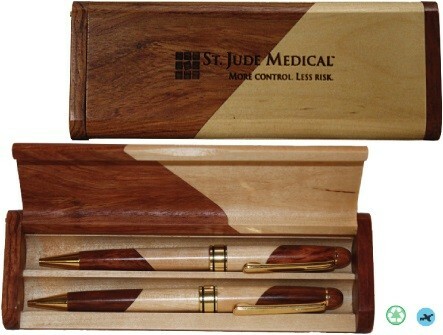 Illusion set features a roller ball pen and a twist action pencil with matching wooden barrels. 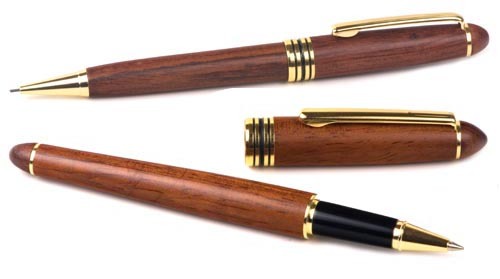 PARKER JOTTER The everyday icon. 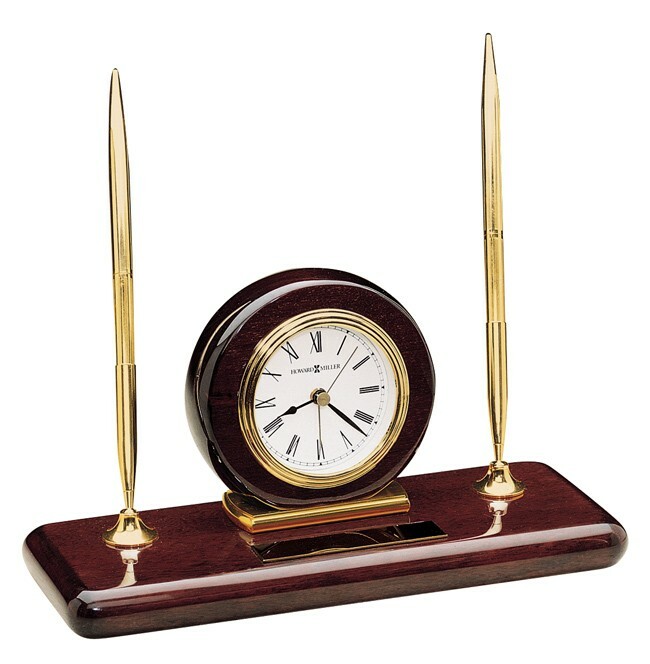 Instantly noticed, Jotter stands as an authentic design icon of the last 60 years. 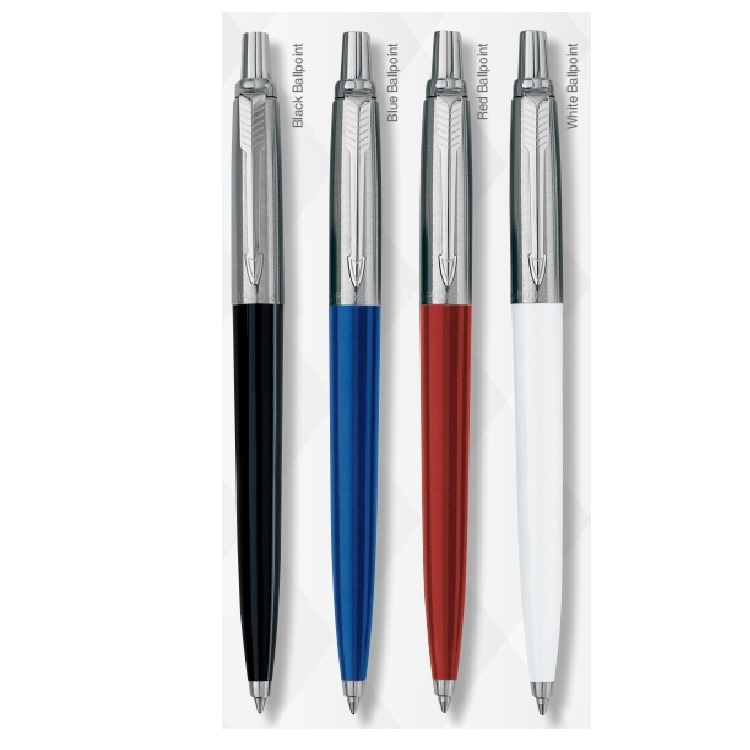 With covetable colours and a distinctive shape, Jotter remains PARKER’s most popular pen, recognizable down to its signature click. 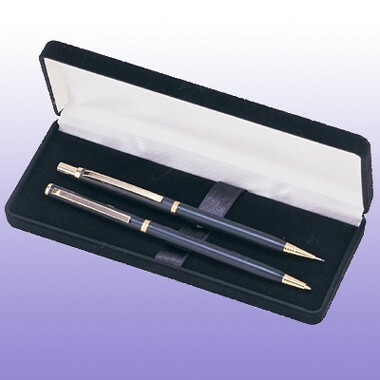 Jotters are fitted with black ink, medium point ballpoint refill. 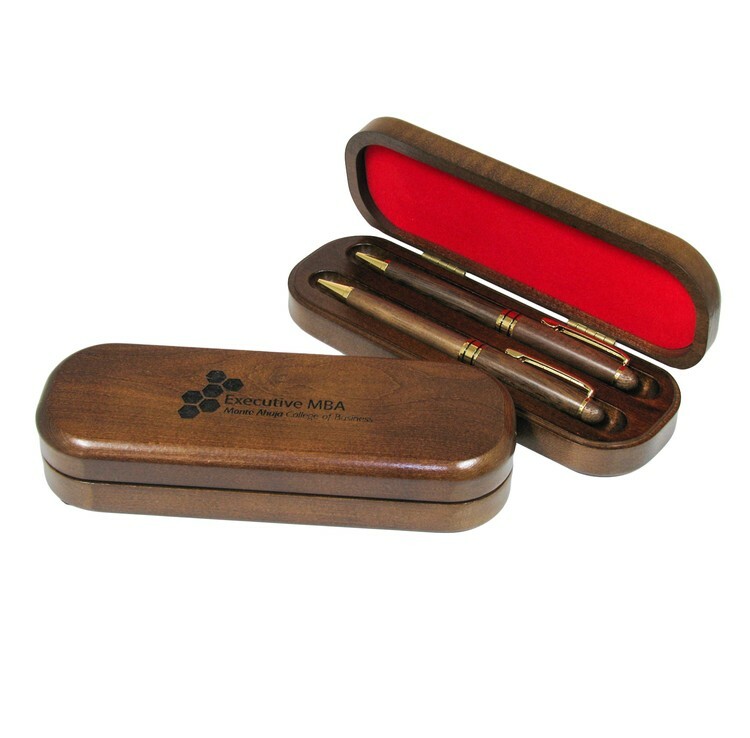 The inlaid maple box will make a real statement and you will love using a different pen each day. 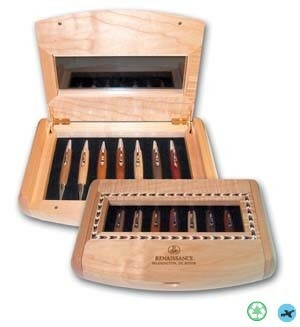 Pens included are Maple, Oak, Medium Cherry, Dark Cherry, Walnut, Rosewood and Mahogany. 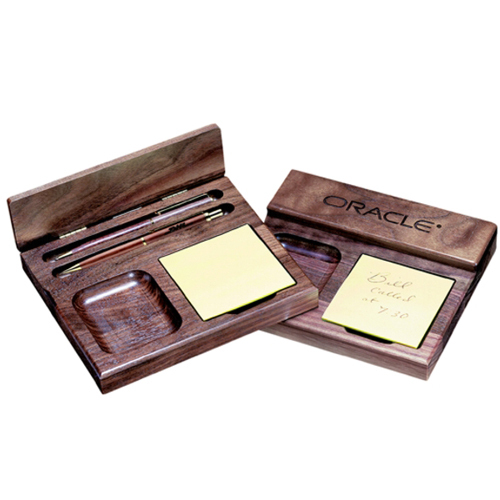 Price includes laser-engraved box. 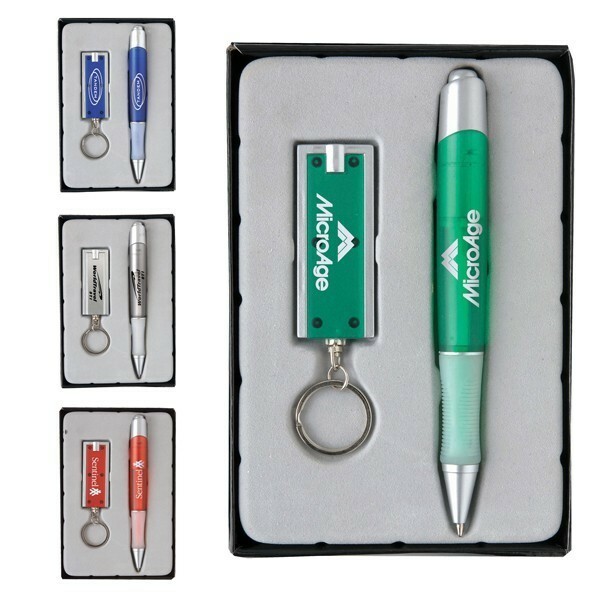 Contact Customer Service if you wish to enhance the set by engraving or personalizing individual pens. 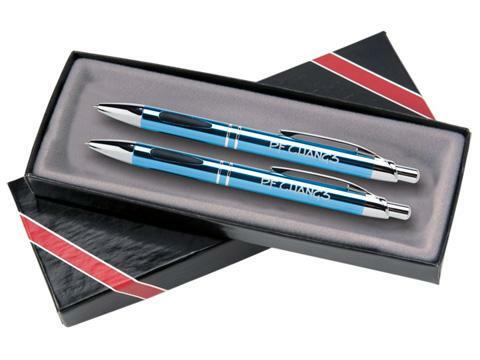 Two very popular items are now available in a gift set. 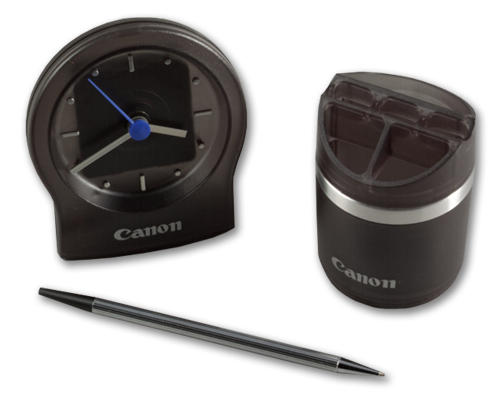 The 1013 desk clock and the 1029 desk caddy with pen make a winning combination. Battery not included. 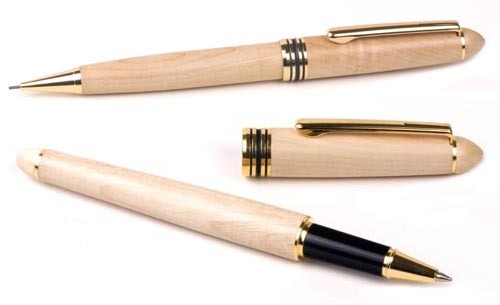 Roller ball pen and a twist action pencil with matching wooden barrels. 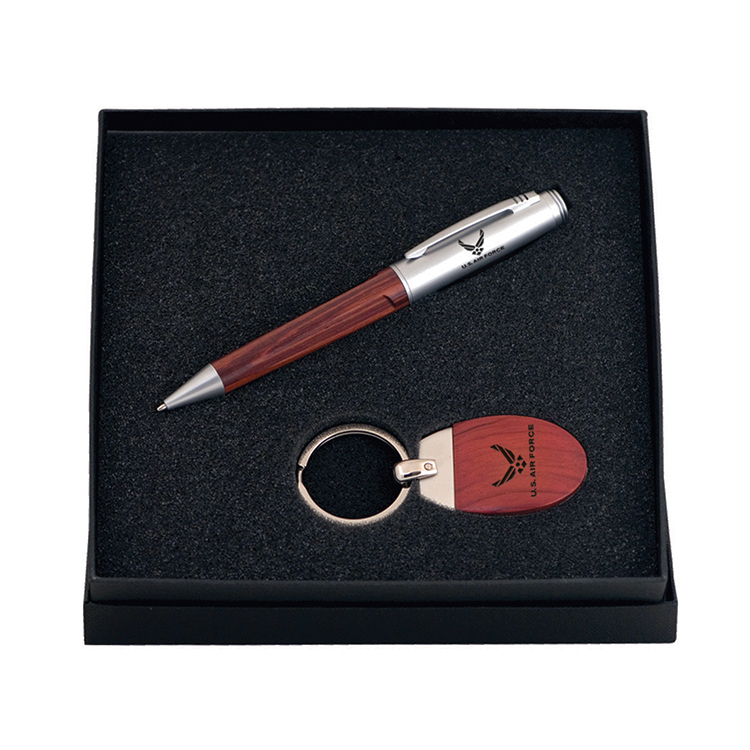 Laser engraving available. 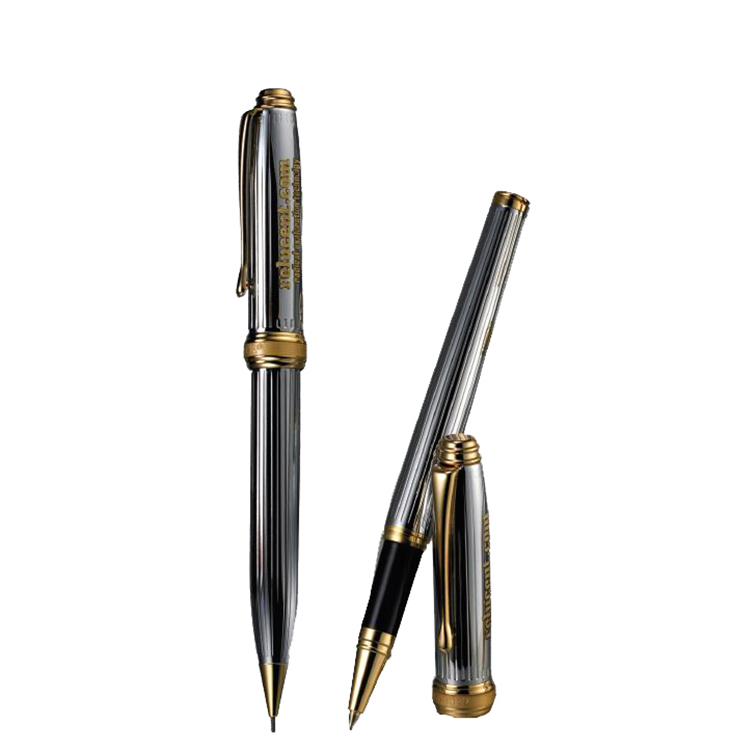 Sleek Pen with matching Sleek Pencil. 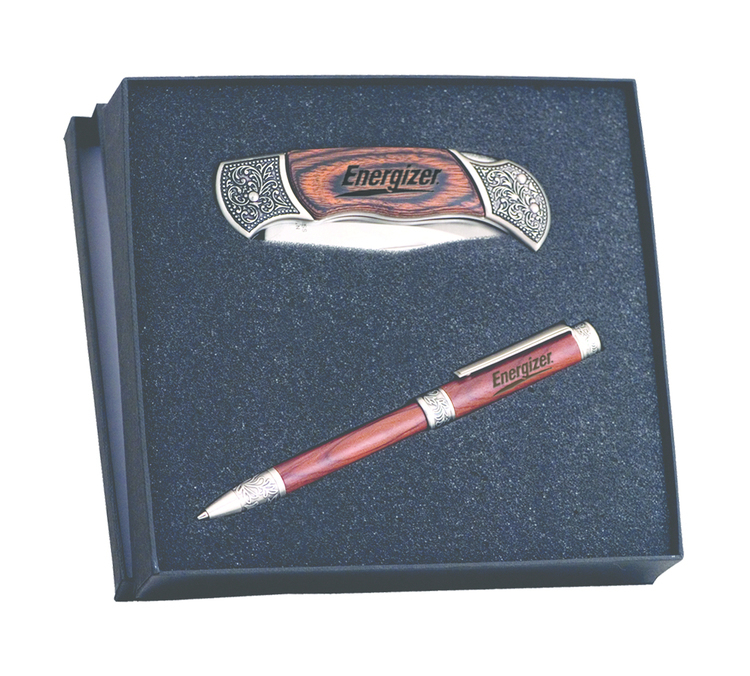 Great for executive gifts! Matte black gift box. 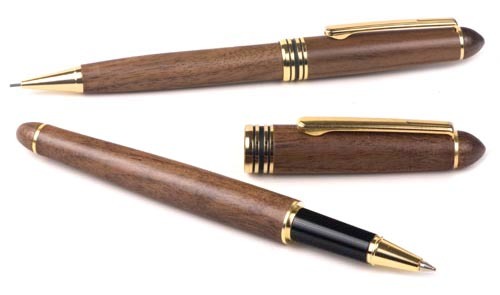 Sleek Pen has blank ink. 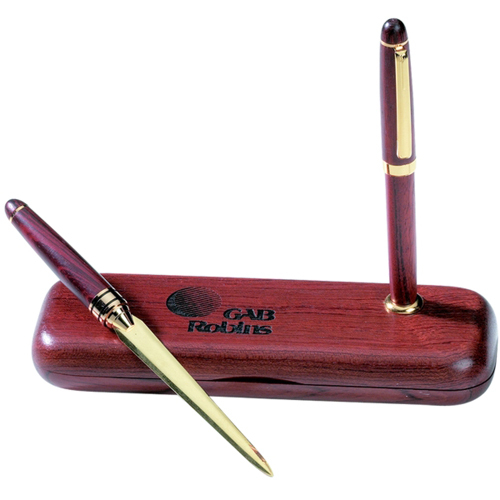 A Perfect presentation for a valued pen. All solid wood construction.